May | 2012 | Get Glenn Mobile! For too many people Memorial Day is just another Fed-inspired three day weekend, bereft of meaning apart from the chance to collect a day’s pay for doing nothing but watching a war movie or some game on TV. The Establishment sees it as just another tool in its bag of self aggrandizing tricks, further cementing the State worship that it inculcates in its charges from their earliest years, emphasizing and entrenching its role as an object of jingoistic tribalism for people to abase themselves before…hence the stress on war movies and team sports. Originally known as Decoration Day, it was begun in 1868 as a remembrance for Confederate and Union soldiers killed during the Civil War but soon morphed into a general day of remembering those who lost their lives while serving in any of the armed forces of the United States. For myself, I choose to celebrate the spirit of those people too, while keeping in mind that far too many of them were well meaning individuals whose selfless commitment to protect and defend America was cynically used by those in power to further their own ends, consolidate that power and sacrifice however many lives were required to accomplish this. 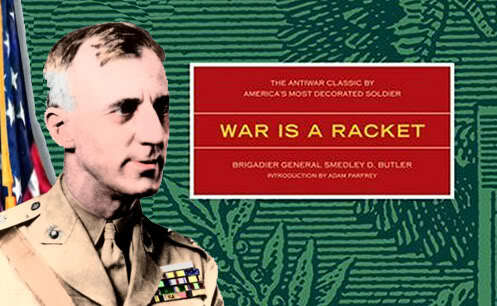 Next, I recommend the short book, originally distributed as a pamphlet, War Is A Racket, by Marine Corps Major General Smedley Butler in 1935. This man speaks with authority as one who spent his professional life in the service of the military, and was actually present as a participant in the many conflicts that twice earned him the Congressional Medal of Honor among many honors and awards bestowed by the U.S. government, and was at the time the most highly decorated Marine in U.S. history. Though nearly 80 years have passed, Butler’s assessment of the true motivations for the promotion of war is as accurate today as it was when he wrote those words. Last, I strongly suggest you listen to the Combat Veterans for Ron Paul’s special Memorial Day podcast of their Language of Liberty show at 3PM Central time today. I’ve been privileged to know Adam House, Nick Allison, and others in or associated with this group, and can honestly say I have yet to meet a more sincere and consistent bunch of people in their dedication to freedom and the recovery of our liberties. Time and again they have demonstrated their unimpeachable integrity, and I treasure their friendship. I look forward to the honor of working with them in the future to better communicate the real views of American service members to the public, the better tocounter the scripted and wholly cynical war propaganda of the mainstream media, entirely disingenuous in their motives. Happily, like the dinosaurs they are, they’re fast becoming irrelevant as they sink into the tar pits of history, but can still do some damage in their flailing and bellowing on their way. Trust me, you’re a lot better served turning to the guys and gals with the real facts…the CVRP. A happier and more meaningful Memorial Day to you…in Liberty. I had a mighty happy surprise when I checked my inbox this morning…a new endorsement video for Get Glenn Mobile! from both Tatiana Moroz and Jordan Page! As with Tatiana’s music, at least I was an über fanboi of Jordan’s artistry before he made this video with Lady Liberty on my behalf. I’ll say it again, you owe it to yourself to check them both out, and you can purchase their music at very reasonable prices for your own collection from your favorite sources, or visit their web sites at http://jordanpagemusic.com/ and http://tatianamoroz.com/ respectively. If they’re new to you a visit to their sites is a great starting point to get to know these superb artists! Thank you, friends. You’re helping this project really get up to speed and I’m grateful for the kindness. Man alive, I know I won’t be tearing off on trips of several hundred miles regularly once I’m mobile, but here’s another example of wishing especially hard I could make an event when I can’t. My friends in the Combat Veterans for Ron Paul are gonna be busy this weekend, participating in the Texas for Freedom Rally & Music Festival in Austin this Friday thru Sunday (May 18 – 20). During all this they’re also planning to march on the Texas State Capitol on Saturday, May 19th. This looks to be a weekend full of good stuff, celebrating liberty with fun and music, including an après-march party locally that promises to be a complete hoot. With a cast of characters like Sheriff Richard Mack, Jack Hunter, Tom Woods, Oath Keepers, Jimmie Vaughn, Jordan Page, Tatiana Moroz, and the other fine folks in the CVRP, this is a terrible tease for me. If you’re in or planning to be in the Austin area this weekend, you owe it to yourself to support liberty while having a great time by joining in. Read up on the details at the official site for the event as well as CVRP’s site! Guys, you’ve got me mighty envious! Say…we have a State Capitol here in Nashville too, you know. Maybe I Succeeded TOO Well! My mom announced she wants to get me an early birthday present, and had a couple of specific ideas. She was certainly excited about being able to provide for her own security after years of living in the victim disarmament zone that is District of Criminals, and it’s pretty clear that my mission to get her interested in firearms ownership has succeeded. Maybe a little too well; after seeing me covetously looking at some of these, her idea was a new airsoft gun for a birthday gift for me. This time in keeping with both our latest acquisitions she gave me the go-ahead to order a revolver, one of the new breed of CO2-powered ones that hits hard enough even with the 6mm plastic BBs it fires to be disallowed in close quarters battles by those nutty sorts who go out in the woods for wargames and shoot at each other. It’s quite the coincidence that she’ll be able to use it too to get used to the routines of her new S&W 642, huh? I’m sure not complaining. I’ll be getting a lot of use out of a birthday present like this myself…while the muzzle flip is more in line with that of a .22 rather than the kick of a .38 +P or stout .357 magnum, it does foster good trigger control and with the small muzzle displacement it does exhibit forces you to reacquire the target after each shot. Her timing, too, is excellent…happy Mother’s Day, Mom, thank you! That’s a no-brainer; to recover my mobility in time to get to Tampa to write about, photograph and video the Veterans for Ron Paul March on the RNC for my column, of course! My birthday’s in June…there’s enough time if more people can just spare a few bucks to make this happen. I’ll keep doing my part to make this project as visible as possible to as many new viewers as we can get. Please do your part as you can, and if you’ve already contributed, won’t you help get the message out by spreading the word to your friends and family? We already know the mainstream media will pointedly ignore the voices of the veterans…and that’s a true injustice. My column in the American Daily Herald isn’t as big or widely read as those in other venues, but there’ll be plenty of content in one place to point readers to, and sooner or later we’ll reach a point where we supporters of Dr. Paul, along with his message of sane fiscal policy, sound money and non-interventionist international relations just can’t be ignored any longer! I’m a fan of Adam House’ ‘Language of Liberty’ internet radio show, just one of the fine endeavors by the Combat Veterans for Ron Paul. I’ve made no secret of the fact that I’m an admirer of this group for a lot of good reasons, not least this broadcast. Adam even allowed me to spend a bit of time co-hosting one last week, and it was indeed a blast. Tonight’s show had an impressive lineup of guests discussing the liberty…or the lack of it…in health care in America, specifically focusing on veterans and disabled veterans. Though a lifelong civilian, I had a thing or two to say on the subject, so although weekday shows are usually on too constrained a schedule to accept callers for them, on a hunch I phoned in and put myself in the queue. Unexpectedly, Adam accepted the call, and I spent a short time discussing what was on my mind with him and tonight’s co-host, Eric Field. This was a real pleasure, as I hadn’t met Eric before, and in addition to his involvement with CVRP, it turns out he’s a columnist for the Examiner online from Richmond, VA. It’s always fun to jaw with someone doing similar things as yourself, and while I don’t expect to make a pest of myself calling in too frequently on those busy weekday shows, tonight I have to thank Adam for the privilege as well as meeting a new friend and colleague in the liberty movement. Thank you both, Adam and Eric, for allowing me to participate in a really worthy endeavor tonight! Another hectic week here…well, what passes for hectic for me these days. I’m still racking my brain for ways to increase the blog’s visibility, contacting those people in the liberty community who run a YouTube channel with a large audience to get those donations rolling again. I’ve sure got a great foundation built already thanks to Tatiana Moroz, Nick Allison and Adam House with the endorsement videos they were kind enough to produce for me. Now all that’s wanted is some catalyzing act to propel it into the next stage of awareness where the donations are consistent enough to finish this project. What it’ll be I can’t say, but it will be a welcome development from the fits and starts that characterize any fundraising venture like this one. In line with that, I was delighted on Thursday evening when Adam House invited me to co-host the Combat Veterans for Ron Paul ‘Language of Liberty’ broadcast for a time, always a fun exercise but doubly so in this case because their featured guest was Dr. Walter Block, a well known economist, writer and professor of economics at Loyola University in New Orleans. I’ve enjoyed his work for a long time and it was a real pleasure to speak with him, however briefly. Another guest who appeared on the show, William Coley, was a new name for me, but I found his talk inspiring. Mr. Coley is a student, a convert to the Muslim faith and an activist in that community to support it along with freedom oriented candidates like Ron Paul and others. Have a listen here if you’re inclined. I had a lot of fun, even though I’m still new at this sort of thing…George Noory won’t have to worry about any competition from me any time soon! I’ve got another new article for the American Daily Herald ready for publication and expect to see it in the next day or two, plus the warm weather activities I’ve mentioned before like airsoft target shooting and small radio control aircraft flying I enjoy. I hate to admit it, but all of these are really pushing my limits, between the fatigue, insomnia and nuttiness of my ongoing imprisonment here, I’m about tapped out. Once this blog’s fundraising mission succeeds, it’ll take a lot of that pressure off; it does take up far too much of my attention and energy at this point…but it’s heartening to know that I’ll be able to do the other things I’ve mentioned more effectively at that point. Still, I’m reminded daily of my limits when I just hit the wall and can’t do one more thing, maddening since none are particularly taxing for a healthy person but with these afflictions that produce fatigue and other cognitive effects like my multiple sclerosis you’re going to see those limits that just can’t be ignored. 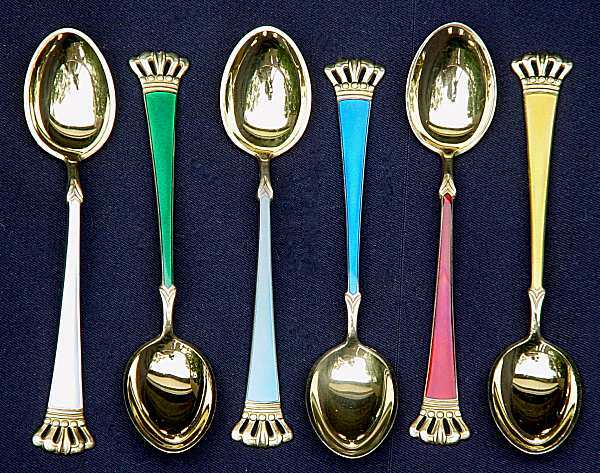 If that’s a difficult concept to understand for healthy people, you might want to have a look at my earlier entry discussing Christine Miserandino and her ‘Spoon Theory’ that’s still the best explanation of the energy limitations we face. As always, I hope you’ll take a moment to leave a donation if you’ve enjoyed your visit…don’t forget, we’re under some time pressure to complete the goal here to turn me loose in time to join my friends in the Combat Veterans for Ron Paul in their march on the RNC in August!